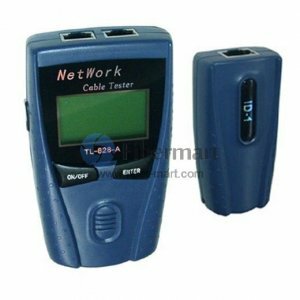 Network Cable Tester is always being used to test LAN Datacom and Telecom cables. Network Cable Line Tester can find all problems associated with testing such faults as opens, shorts, cable integrity and it also find cable length of individual cables or distance to a fault, and its powerful and user-friendly features enable network installers to accurately check pin configurations of various voice and data communication cables. 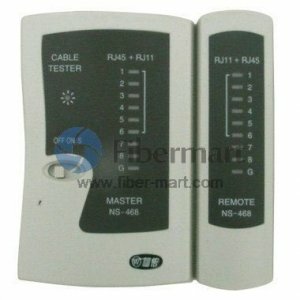 Fiber-Mart supply so many kinds of LAN Network Cable Tester, which are a kind of convenient and comprehensive tool for network professionals. All our network cable testers, LAN cable tester, and network wire tester are with high quality at good prices.